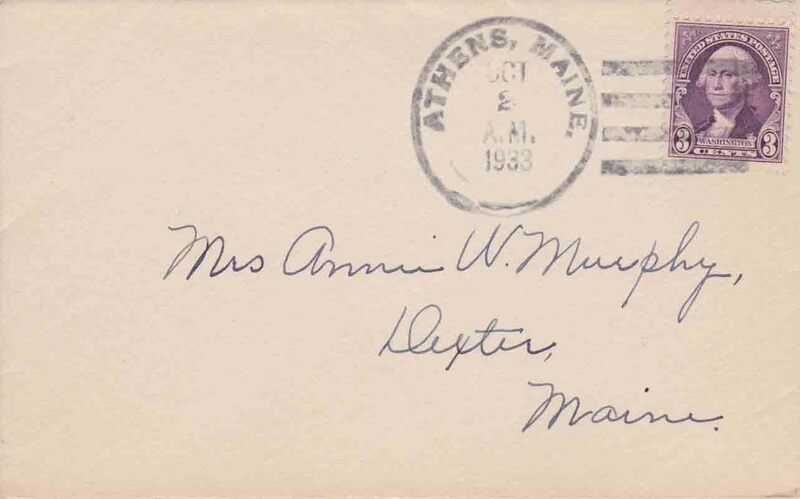 During the history of the town of Athens, there have been three post offices. 1. 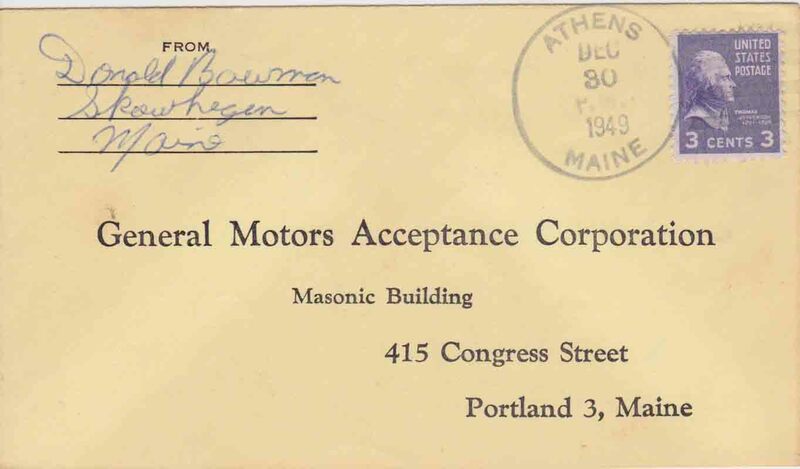 Athens post office was established on 9 January 1819 and is still operating. 2. East Athens post office operated from 17 June 1889 until 30 November 1900. 3. 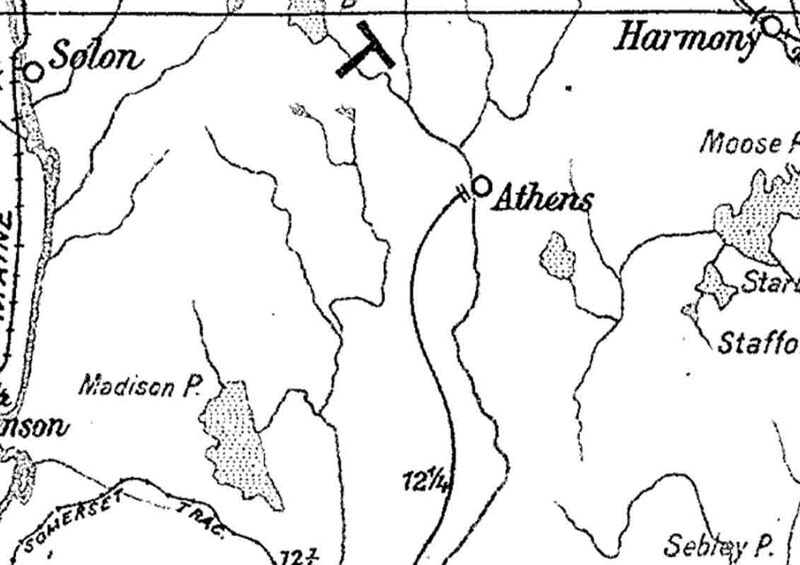 West Athens post office operated from 22 March 1870 until 30 June 1903. 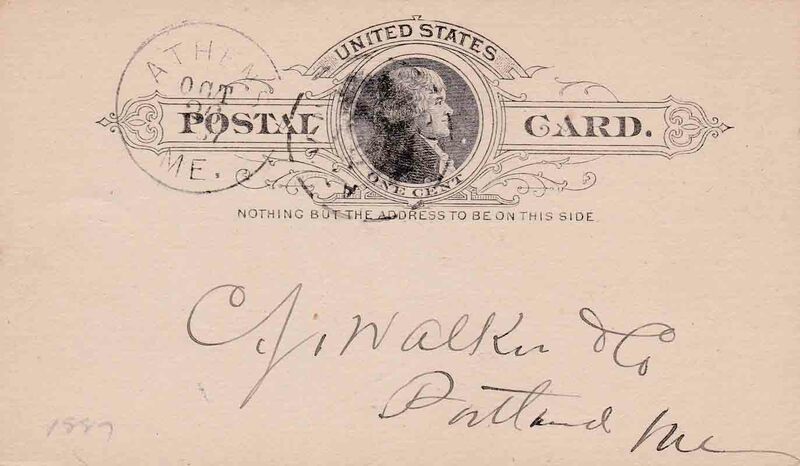 The circular postmark is 30–31 mm in diameter. The four horizontal bars to the right of the circle are approximately 6 mm apart on center. Unlike the bars on later cancellations, these bars are even with each other at both their left and their right ends. Athens post office is still in operation.